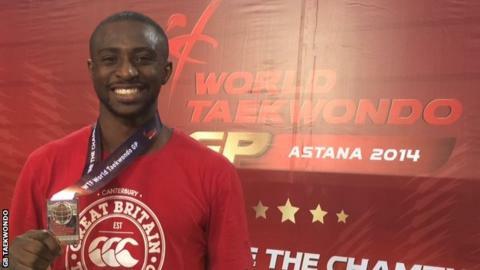 Great Britain's Mahama Cho claimed a silver medal in the +80kg heavyweight division at the World Grand Prix in Astana on Friday. The Manchester-based man beat Olympic champion Carlo Molfetta on his way to a final against French rival M'bar N'Diaye. N'Diaye secured his win 24 seconds into sudden death. In securing silver, Cho became the first Britain to make the podium during the event.